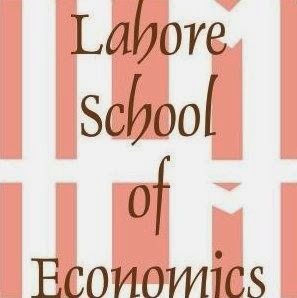 Lahore School of Economics organized a training workshop to hone the interviewing skills and writing a powerful resume at main Campus on September 29, 2011. Ehsan Talat, the Brand Manager Nestle Everyday and Mustafa Sherdil, the Consumer Engagement Specialist, Phillip Morris International (Both Lahore School Alumni MBA - 2007) conducted the for the MBA class of 2012. Over 150 MBA and MSc Economics students attended the workshop. Both the speakers talked about the relevant areas of interest of students and jobs and also briefed the students on how to make a resume. The workshop was followed by questions and answers session. Dr. Naved Hamid is Director, Centre for Research in Economics and Business at the Lahore School of Economics. He has a BA (Hons.) in Economics from Cambridge University, UK, and a PhD in Economics from Stanford University, USA. Prior to joining the Lahore School of Economics, he was at the Asian Development Bank (ADB) where he worked in various capacities, including ‘Acting Chief Economist for South Asia’ and Deputy Country Director and Team Leader for Pakistan. Before joining ADB he was Professor of Economics at the Lahore University of Management Sciences. His publications include: ‘Rethinking Pakistan’s Development Strategy’, The Lahore Journal of Economics, 2008; ’South Asia: A Development Strategy for the Information Age’, in Report on the South Asia Department Economists' Annual Conference 2006, ADB 2007; Asian Cities in 21st Century: Contemporary Approaches to Municipal Management (5 Volumes), Lead Editor, ADB and ADBI, 1999 – 2001; ‘Economic Environment in Asia for Investment’, in Investing in Asia, Edited by C. P. Oman, D. H. Brooks and C. Foy, OECD Development Centre, 1997; The chapter on Industry and Trade in Foundations of Pakistan's Political Economy, edited by W. E. James and S. Roy, Sage Publications, 1992; The chapter on Pakistan (with A. Nasim and Ijaz Nabi) in The Political Economy of Agriculture Pricing Policy, (Volume 2), edited by Anne Kruger, Alberto Valdez, and Maurice Schiff, John Hopkins University Press, 1991; 'Private Finance Companies in LDCs: Lessons from an Experiment', (with I. Nabi) in World Development, 1989. He has also published several books: Joint author (with A. Nasim and I. Nabi) of 'Agrarian Economy of Pakistan' published by Oxford University Press, and co-editor (with P. Rana) of ‘From Centrally Planned to Market Economies: The Asian Approach’ (3 Volumes), also published by Oxford University Press.